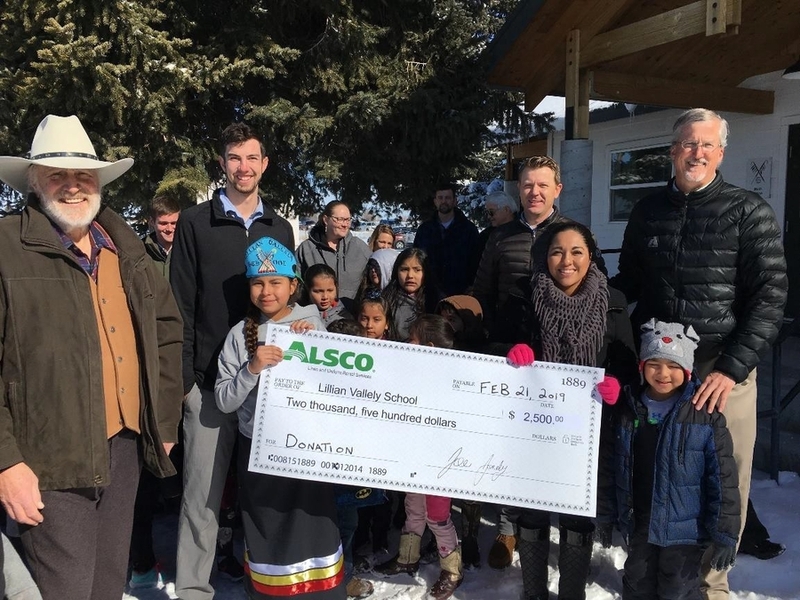 “Lillian Vallely School has had an extremely positive impact on the community,” noted Christian Utley, general manager of the Alsco Blackfoot Branch. BLACKFOOT, ID, February 26, 2019 — Located in the Blackfoot, Idaho, region the Fort Hall Reservation is home to the Shoshone-Bannock tribes. The Lillian Vallely School (LVS) helps the children of these tribes prepare for a future of life on the reservation as well as off the reservation. The Alsco Blackfoot Branch is pleased to assist in this mission by providing financial support to the school. LVS blends education, Christianity and the Native American culture to help students prepare for a successful future educationally, socially and spiritually. The school was founded in 1997 by Idaho Episcopal Bishop John Thornton and his wife, Jan, at the request of a group of elders led by Lillian Vallely, a Shoshone woman and Episcopal deacon. The elders envisioned a school where their grandchildren and great-grandchildren might be given the tools to do better scholastically by having their own culture honored alongside high standards for academic excellence. LVS does not charge tuition because most families would not be able to afford it. Additionally, except for the E-Rate Grant, the National School Lunch Program and some Title I funds, the school does not receive government help. The school is financed by the private sector through foundation and corporation grants, fundraising events and tax-deductible gifts from generous individuals.